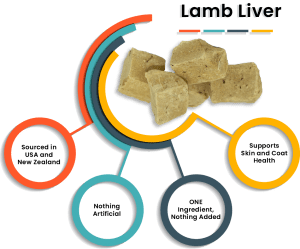 To make Stewart Pro-Treat lamb liver treats we use lamb from New Zealand or the US. Freeze drying at our facility locks in flavor and nutrition. 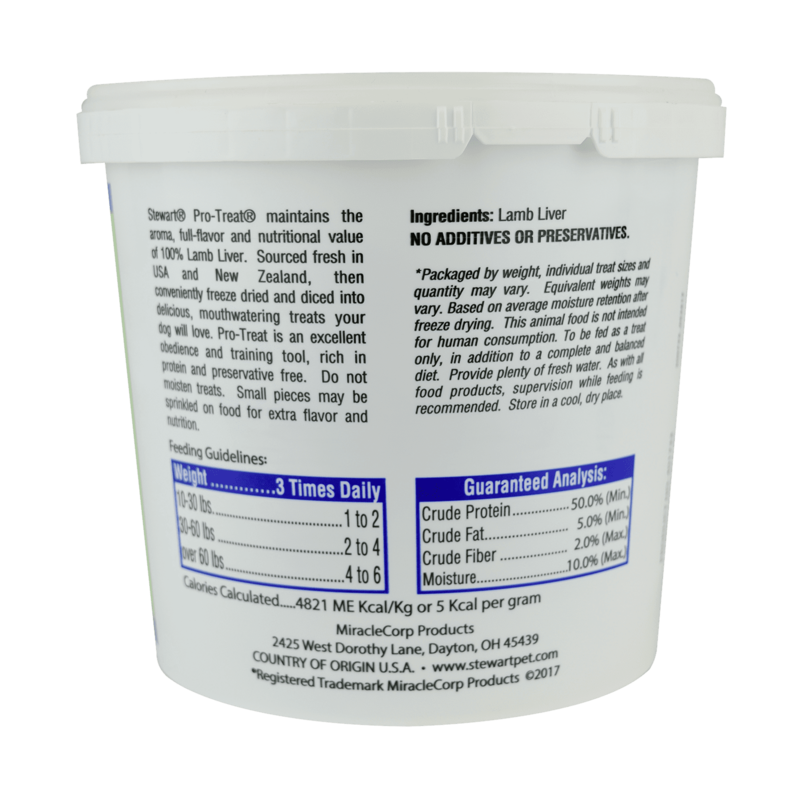 Rest assured that we follow the strictest safety standards in making Pro-Treats. 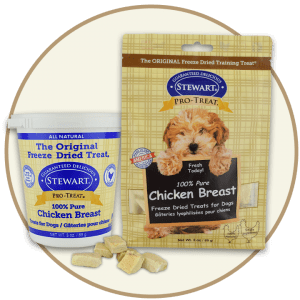 Whether they’re playing or working to learn new tricks and skills, all breeds and sizes love the taste of Stewart liver treats for dogs. 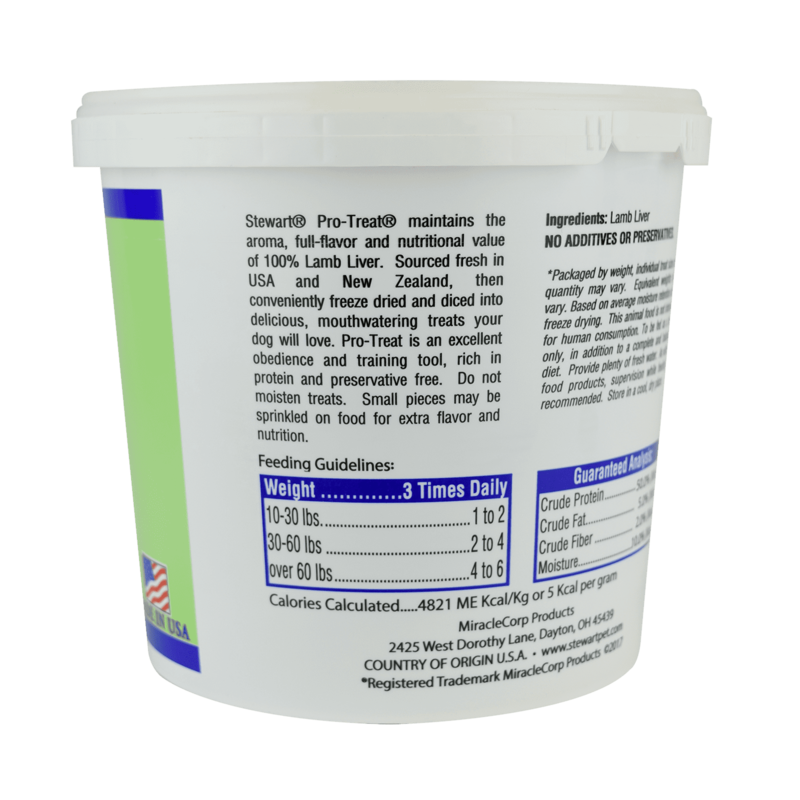 It’s the reason why Pro-Treats are preferred by trainers. We make rewarding your dog more rewarding. Treat your dog with love and excitement. 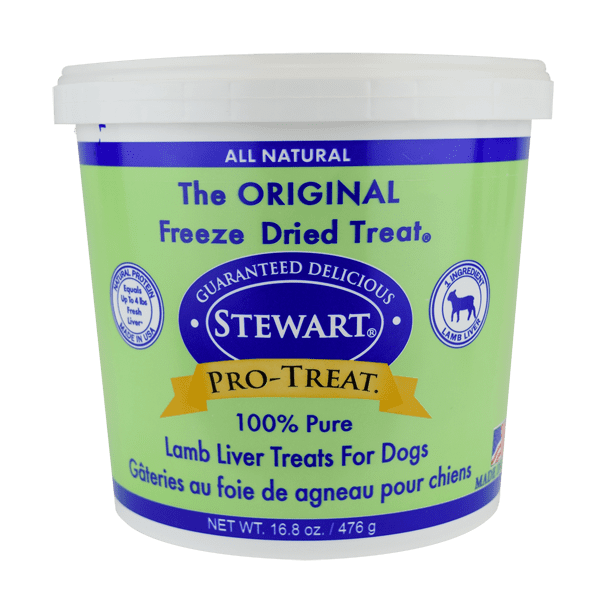 With lamb liver as the only ingredient, Stewart Liver Treats for dogs are pure, all-natural, healthy and lean. You won’t find grain, gluten, artificial colors or flavors in Stewart Pro-Treat liver treats. 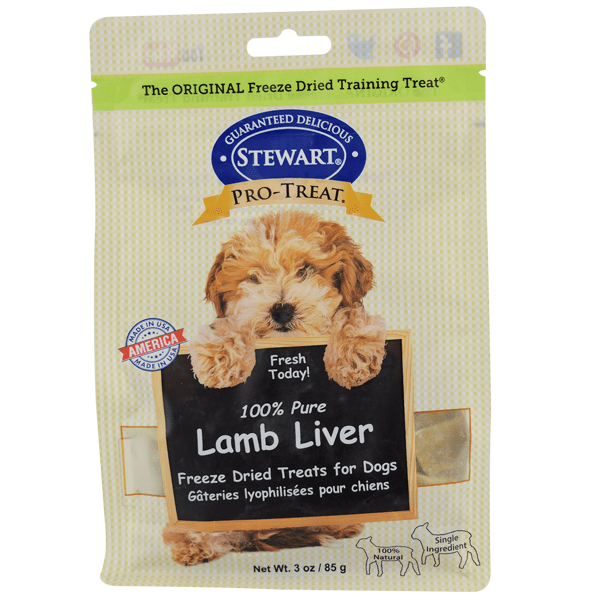 Packed with nutritious liver, these treats will become your dog’s new favorite. 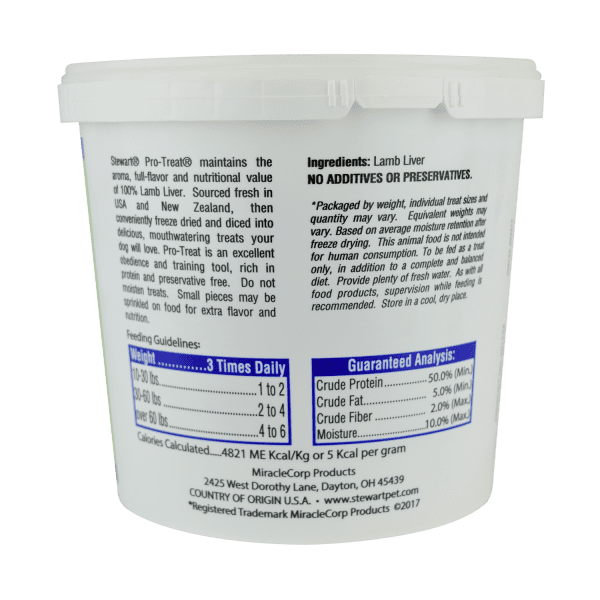 Tub: 3 oz., 16.8 oz.